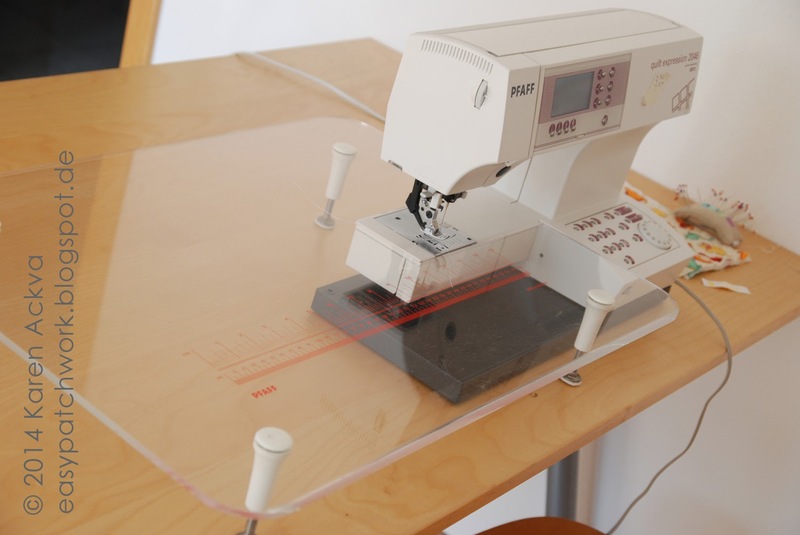 Once again it is time for a post from the series: Project Sewing Room. I was at my new class about free motion quilting (FMQ) last week, and my machine got all jammed up. I was having problems with dropping the transport (and needle) and getting the right tension on my bottom thread. I had a bunch of Kuddel-Muddel on the bottom of my fabric. And then, all of a sudden, it locked itself down! We tried to pry it out, but didn't want to damage the machine. It was time to shut it off, sit back and relax until the class was over. I practiced my quilting by drawing doodles on paper which was a great exercise! I think most Long Arm Quilters do this before they start with a new pattern. The next day, I took my machine to the local sewing machine dealer/repair center to check it out. I also inquired about routine maintenance, because it had been a while since it was last serviced. I was actually thinking about this the last couple of weeks, because I have been so hard on my machine recently. It was starting to look a little ragged and shabby. So, the repair man just broke down the machine and serviced it which means, oiling, blowing out all of the threads, making sure the tension is correct for the top and bottom thread. He, Hr. Fuchs (that translates to Mr. Fox in English), was extremely fast with the maintenance; I picked up my machine the following day and was ready and rearing to go. Here it what my Kuddel-Muddel looked like. This is the bottom side of my quilting sample. So, it is very, very important to have your machine serviced or maintenaced every so often. How often should it be done? I asked and was told," the more you use the machine the less maintenance it needs." Now, I am not so sure about that, but when you start to notice that the machine just isn't running as smoothly as it used to, you should think about having it tuned. I think I have my machine maintained every two years and costs about 60€ which includes tax. It is so nice to get your machine back, and it is all shiny and free of fussles again. That lasted about a half a day! How often do you have your machine maintenanced or what type of service do you periodically perform on your machine? We would like to know, so please share. Thank you! Most of us have a special partner, that we like to spoil every now and then. We especially like to show them just how much we love them too. In the quilting world, that is usually our men! They support us with our color and design choices. They forgive us we we spend too much time behind the sewing machine. Don't they deserve to be appreciated too, especially with their own quilt? Of course, they do!! 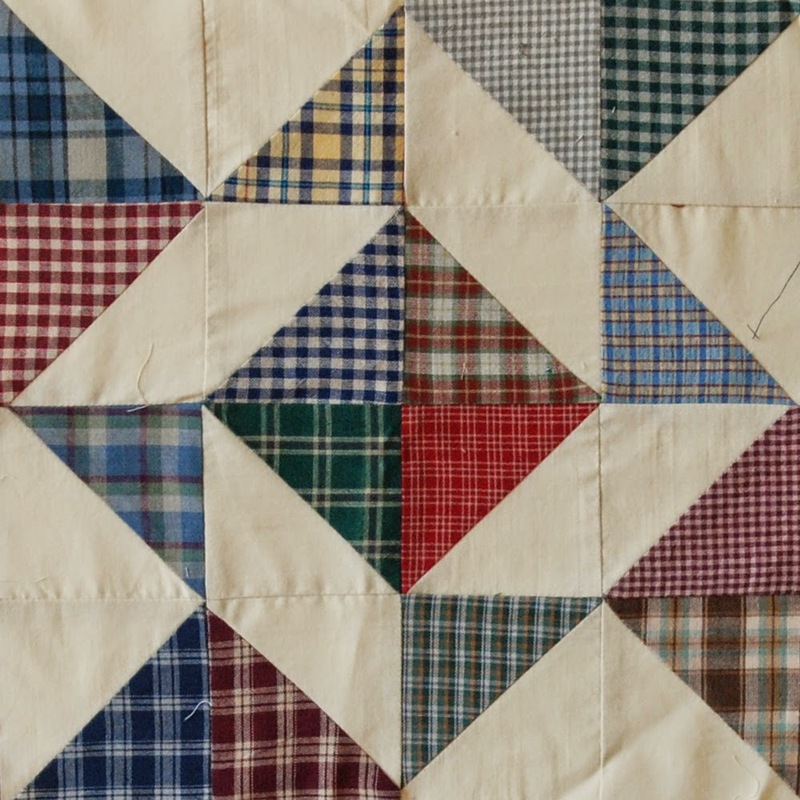 Shortly after I got married, I started working on a quilt for my husband using plaids and a very bland solid wheat fabric. I found a pattern in an Australian magazine and wanted to recreate it. 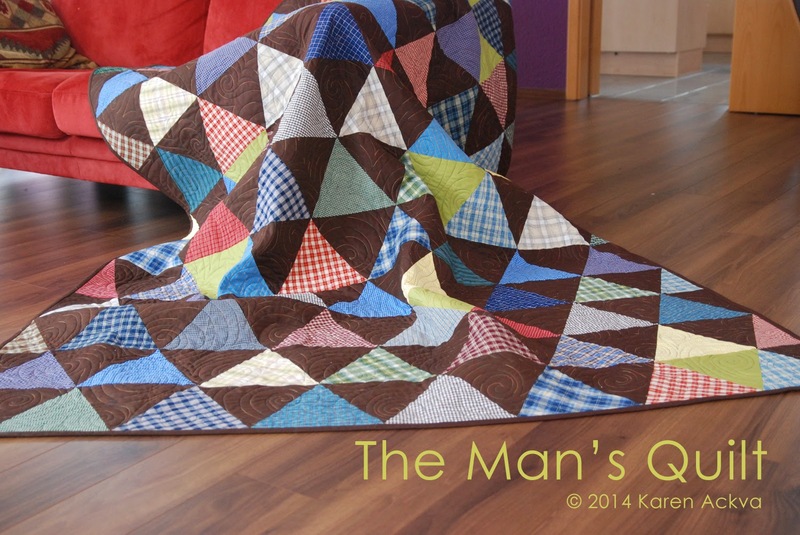 The pattern looked simple enough, and it was no doubt a "man's quilt" which you don't typically see. As things go, the project got put on hold, because it was more complicated than I was capable of. Pressing became a nightmare. And the solid wheat fabric no longer appealed to me. It was looking too "country." The project got put on hold! Flash forward - our 10 year anniversary was approaching (quickly). I wanted to finish my quilt for my husband who was feeling neglected all these years, because he never received his own quilt. 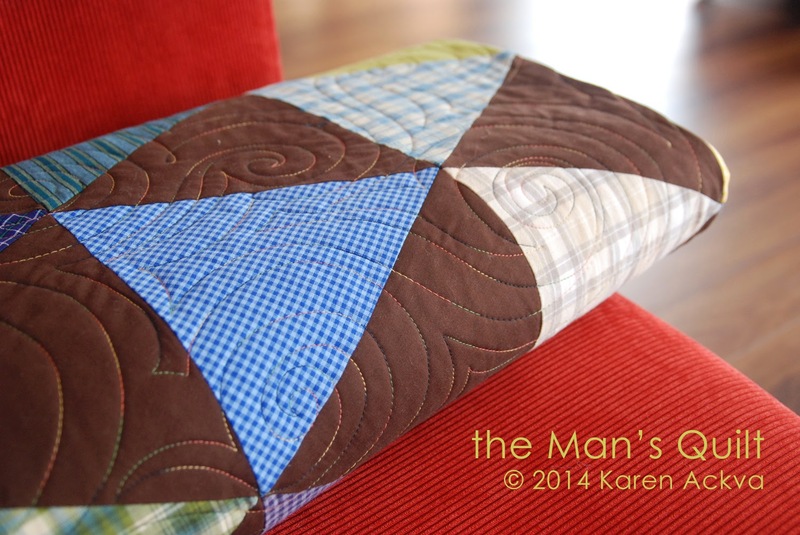 I redesigned the quilt using the original plaid fabrics and added the solid color brown and a hint of pistachio. Isn't it gorgeous? Sabine used a variegated thread which shows up perfectly over the brown and pistachio colors. She used a nice big swirly that allows the quilt to lay comfortably when in use, because this is my husbands new sofa blankie! It is long enough for him and is a proud 2,10cm long! The blanket, not my husband. 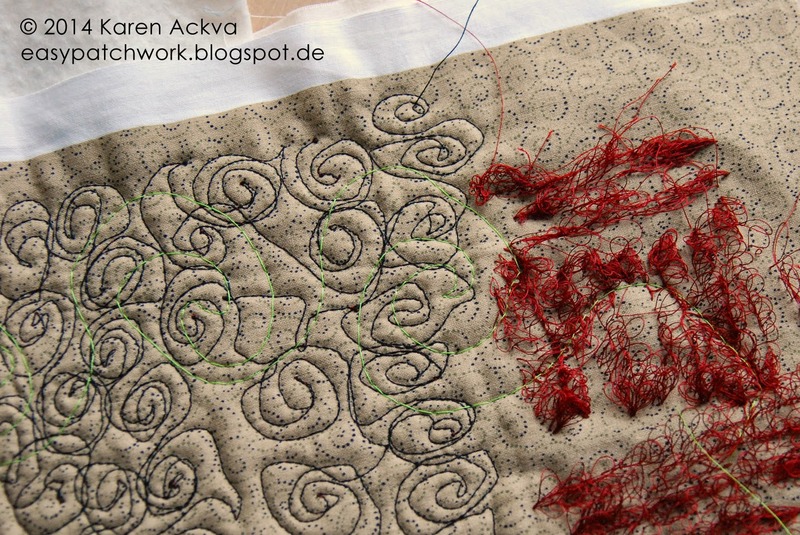 ;-) I wanted to get it finished quickly, but still chose to hand-stitch the binding closed! I used bigger stitches, but it was worth the extra time. He was kind enough to model for me too; that's him behind the blanket! He has been enjoying the quilt in the evenings for a while now. He truly enjoys it and has mentioned several times that he loves the geometric shapes mixed in with the roundness of the swirlies. He asked if I hated it, because of the brown and dark colors. No I don't! It is not my typical color palette, true, but I love this quilt. I love the simplicity and scrappy feel. I am so happy this one is staying with us too! And, I don't think it looks one bit country either! You can see more pictures of the quilt here on flickr. You can also see some of the WIP going on with it. I saved all of the pictures so it would totally be a surprise. If you would like to have your quilt long arm quilted, or you live in southern Germany and don't know of a local long arm quilter, look up Sabine Feldmann. She is the hottest new artist on the long arm machine! She also runs a full service quilt shop with classes on everything! It is that time again! Babies are in the air. Why does it seem that so many babies are born in spring and summer months? 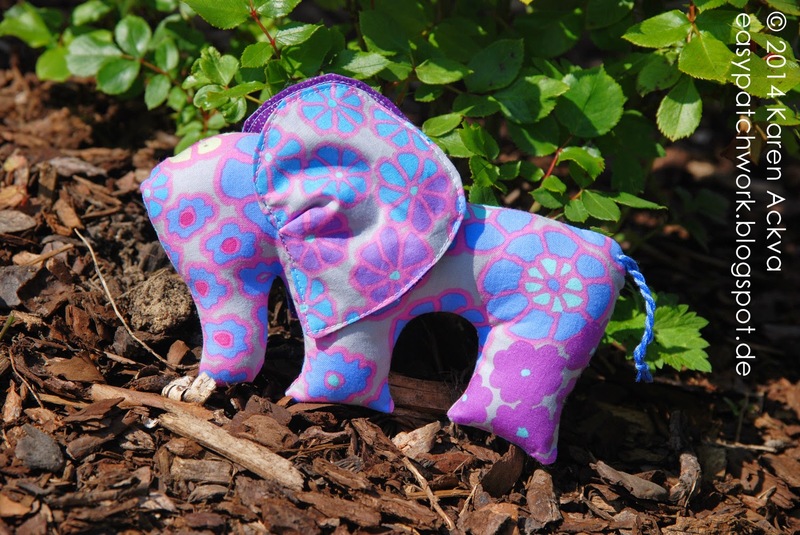 It warms my heart to make quilts and toys for these little sweetie-pies! Usually for every first born in the family (in meiner Famlie und Freundeskreis), I make a quilt that can be used by all siblings. When another baby comes along, I tend to make a little toy or suffed animal. I whipped this one up in no time for the precious little Nora! We visited the newborn (and proud parents and prouder brother) yesterday for coffee and cake. She really is a sweet precious little one. I wanted to hold her, but she was so content in her parents arms, I didn't want to disturb the moment. I will get to hold her another time, I know. Oh how time flies by. I remember just yesterday my own little ones were babies. It brings back all the memories, doesn't it! I would like to know what you like to make for the newborns? Please leave a comment and tell us all about it. Thank you for sharing! Lately, I have been struggling about sewing and my motivation as well as the lack of time. I came across this fun and very short little SAL from EQ7 called Jump Start! 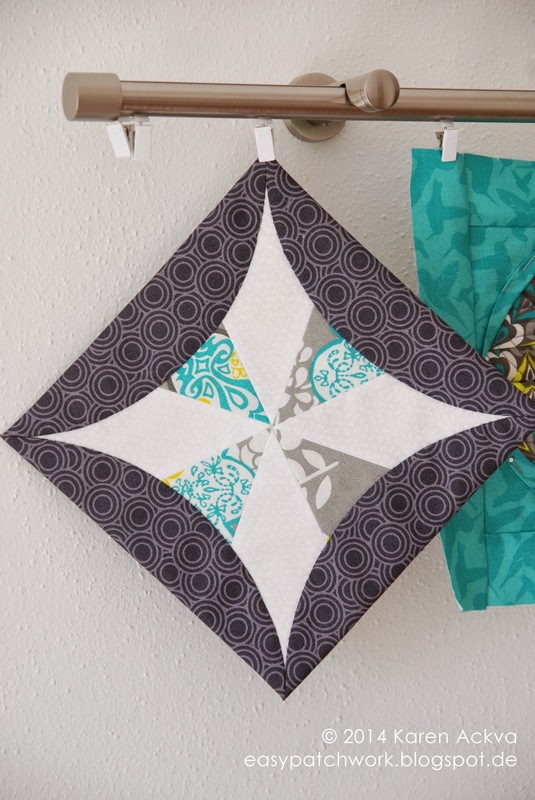 It explains how to start up EQ7, design quilts, find blocks and print them out. It does not tell you how to sew your blocks together, unfortunately. This you just have to find out for yourself. It is not too late to hook up and join in the fun! I acquired this yummy yellow and gray fabric last year and was just waiting for that perfect project to come along. And here it is. I will be making four blocks (I think), and this was the first one. I followed the rules and made the block just as it was illustrated from the program. You can change around the fabrics and make some really striking blocks, but I wanted to follow the rules this time. I like how it turned out with the gray in the middle and then radiates outward with different fabrics. I just noticed something about this block. Normally, I am all into the color white (or snow rather) in my quilts these days. There is no white in this block!! I think that is why I am liking it soo much! I am not much for the color gray, but the yellow really sparkles here and puts a little sunshine out on the cloudy day.I am anxious to make the other blocks. This is going to turn out to be a very striking and modern table topper, or purse front or wall hanging. Enjoy your weekend! I will try to get in a little more sewing time this weekend. We'll see what I can whip up. Where has the time gone? We are already in the second week of May, and I haven't blogged one word! I haven't even published my new pattern yet. Shame on me! I am b(l)ogged down with life. Yes, LIFE! The spring and summer months are really busy for us which leaves little time for blogging and sewing. Somewhere, I have to make a compromise...so, I have chosen to sew more and blog less. I will still (try) to post a helpful piece on organizing your sewing room and show what I have sewn throughout the month, but simply less blogging. This is my Atarashii Block for my Quilting Bee. We are all making a sampler for our 20th anniversary as a group. 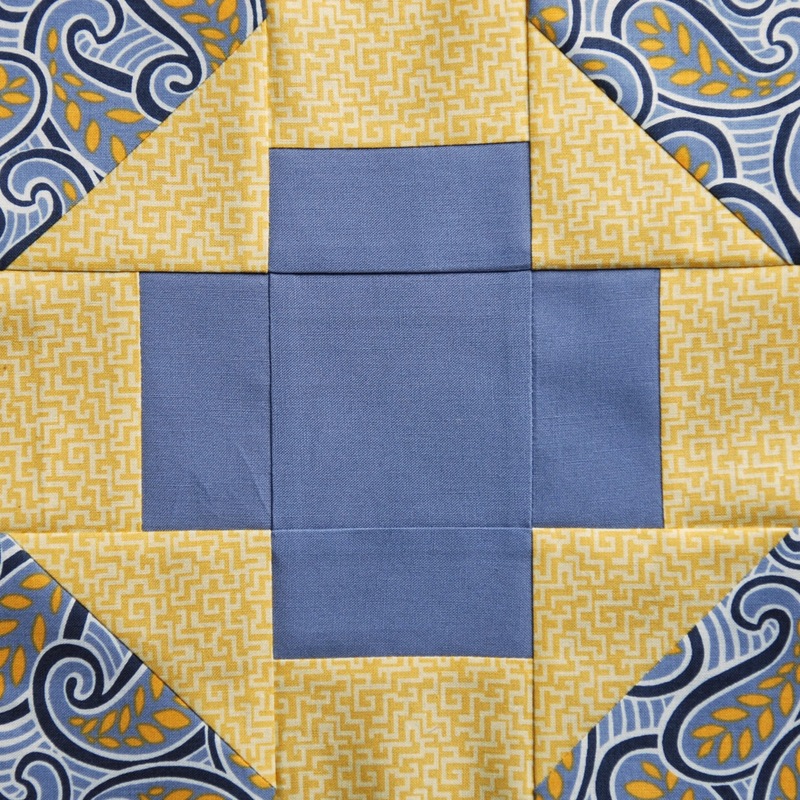 Many of us are presenting a block or technique that will be set into the quilt. I am a little undecided about this technique. I like to find shortcuts and make the work simpler. Since I already worked on the cathedral window pillowcase earlier this year, I find this technique a little fiddly and time consuming. Yes, I critisized. On the day this block was presented in at our quilting bee, I took along other fabrics - the ones not being used for the sampler. I just wanted to try out the technique and wasn't sure if I was going to put it in my sampler. Sometimes, I am too controlling. This was a good decision, because it uses a lot of fabric. I wasn't really happy with the result, so my friend Katrin lent me her book from Atarashii where I found this kaleidoscope block. It is not as bright as I would have liked, but it is still in line with the technique and fabrics for my quilting bee sampler. I hand-sewed the circle flaps down. "Wenn schon, denn schon." 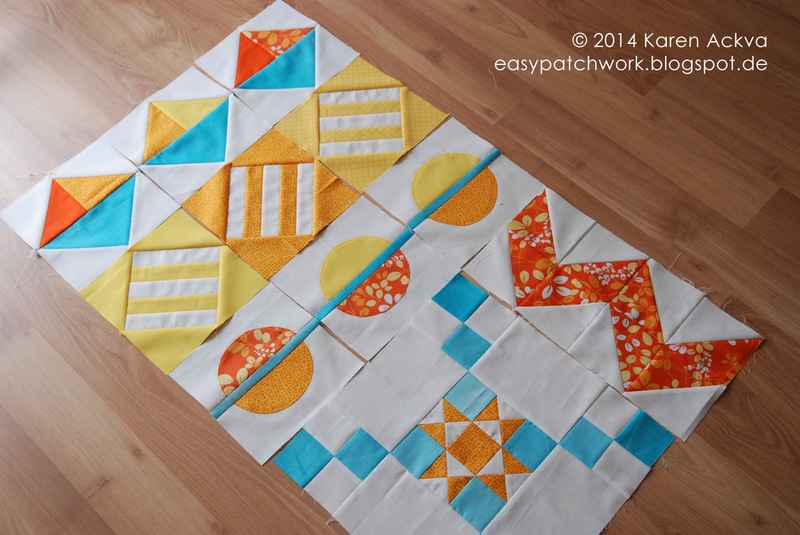 I have been working mostly on my "Cattinkas Hasenbach Challenge" blocks for Claudia Hasenbach's Apfelernte. I am making good progress and and very pleased with the results. There will be a lot of red thrown in for the next blocks which will change the look of the wall hanging. I am also playing with the idea of a new layout for the blocks. This will be a fun one for some appliqué stitching. I also reworked some Mod/Mod blocks and added a few new ones! 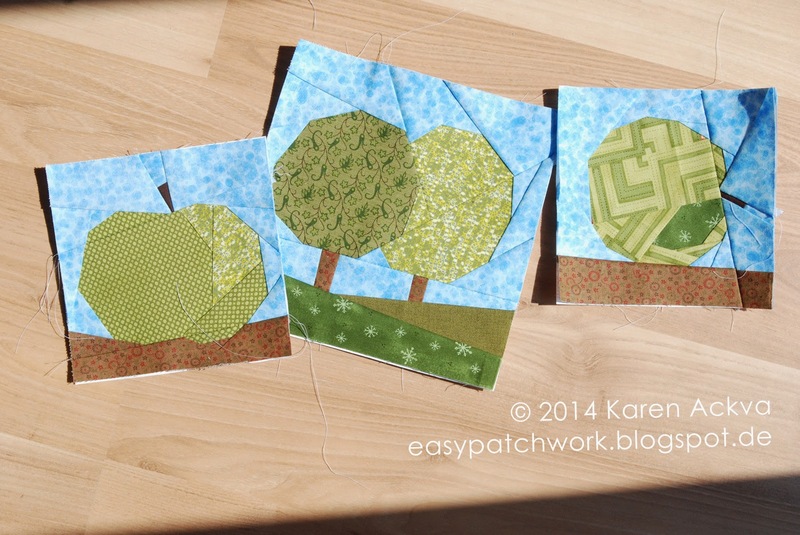 I also really enjoyed working on these blocks, because of the fabric. My color palette that I really enjoy working in for the last couple of years is this torquoise/orange/yellow/white (and sometimes gray) palette. In reminds me of springtime and warms me up. I still like my fall colors, don't get me wrong. A note about the chevron block: the first time, I made it too small because my 1/4 inch seam allowance was too genreous. The second time, it was slightly too skimpy. I think I will always have this problem if I have lots of smaller block units to make a larger block. I also joined up to the Jump Start! EQ7 SAL. Maybe I can can improve my EQ7 skills.You are never too old to learn. I will also be taking a class this month to improve my quilting. 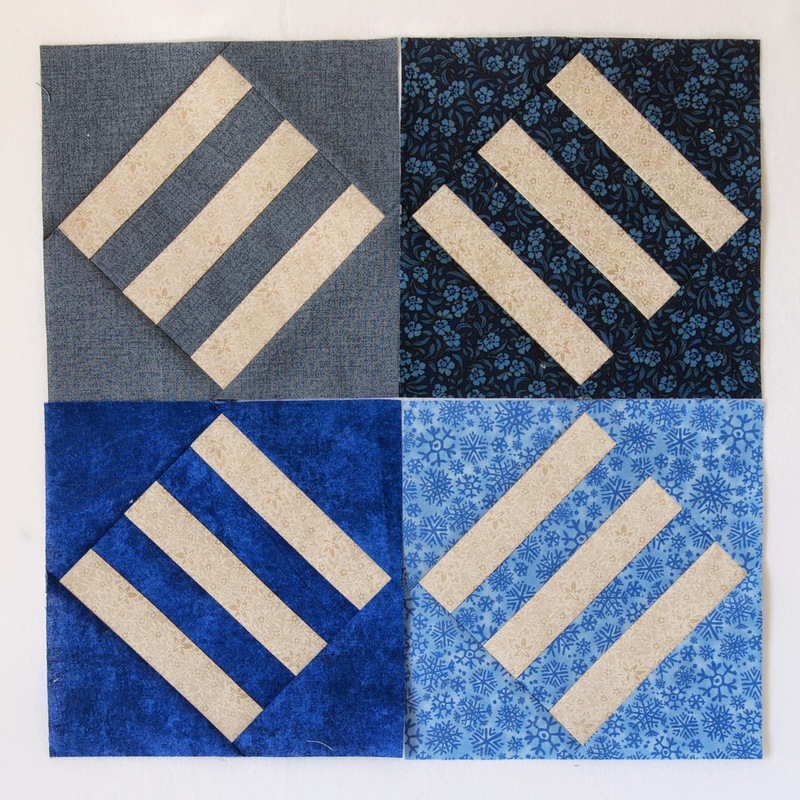 I just now have gotten comfortable with the idea of FMQ - free motion quilting. It is time to take it to the next level - just doing it. 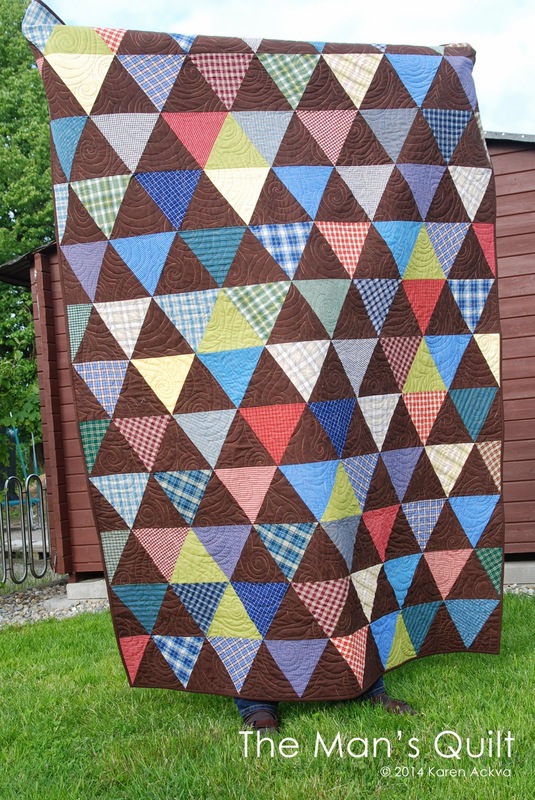 You can always find my latest blocks and quilt on flickr. Thank you so much for leaving comments. I really love to read what you have to say - whether good or bad, helpful or critical. ;-) Enjoy your day!